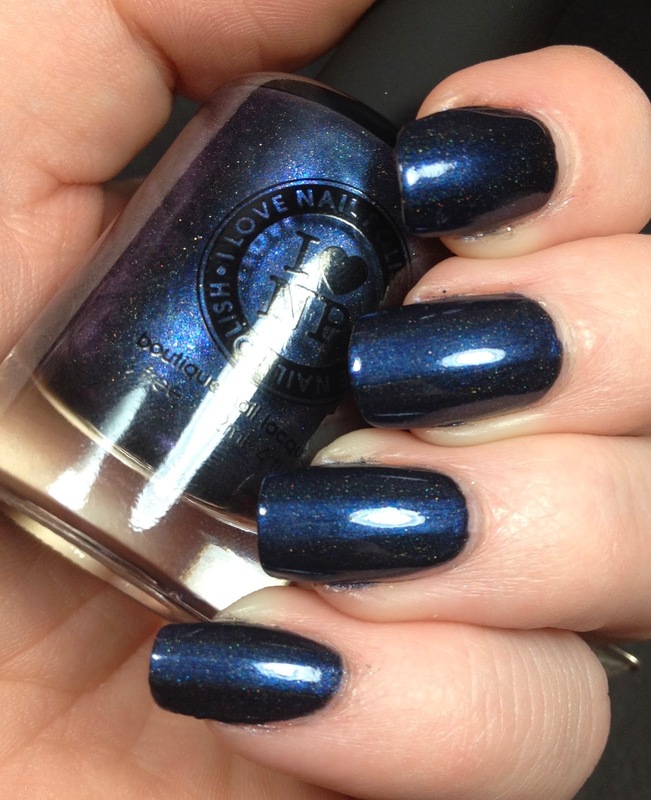 Today's post is another I Love Nail Polish manicure. I am seriously loving the polishes I bought from them. I really should have taken part in the most recent preorder for the holiday polishes, but I had already spent too much lately. Anyone else have that problem?? This polish was from the preorder the time before last. It was a gift with purchase, if you ordered three polishes. 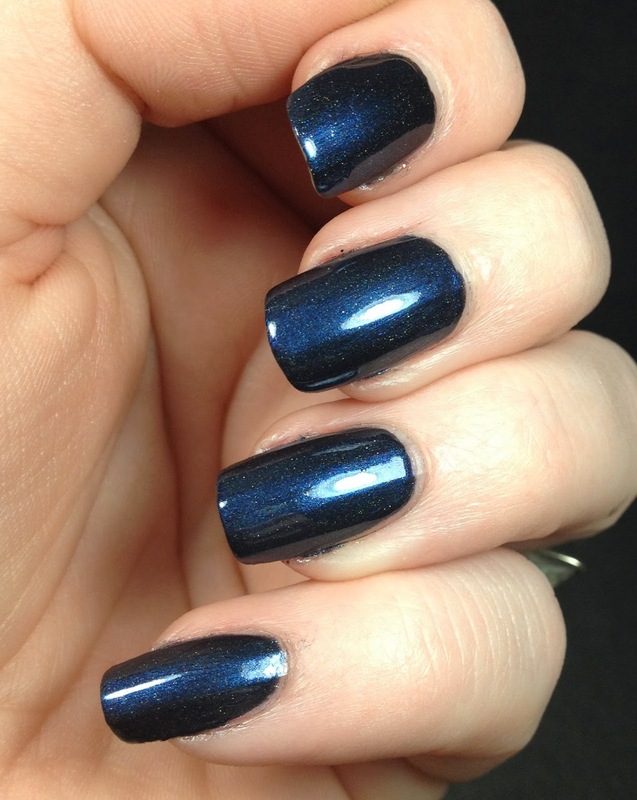 Absolute Zero is a navy blue polish packed with shimmer It doesn't pop in these pictures but it is pretty in person. This is shown two coats over Duri Rejuvacote and topped with Glisten and Glow's HK Girl topcoat. 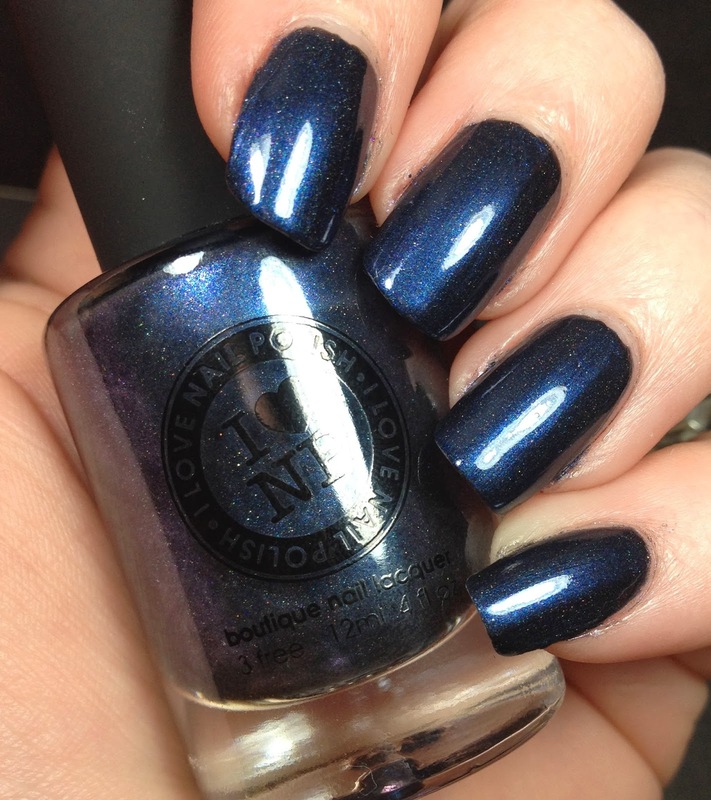 Do you have this polish or any other polishes from I Love Nail Polish? ?